Pauline Quirke has been battling with her weight for years, having yo-yoed from 20st 7lbs in 2011, to 12st at her lightest. 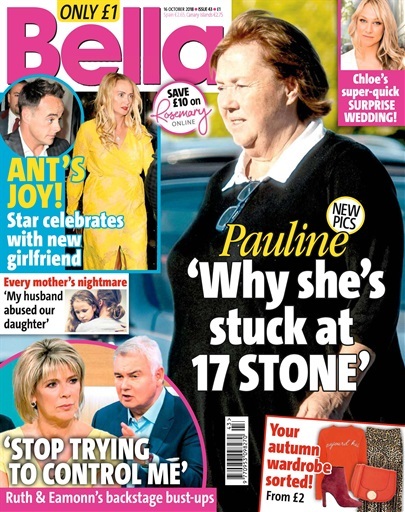 However, these exclusive photos – which show Pauline at an estimated 17st – give an insight into why she might find it hard to lose weight. She’s pictured doing a food shop, and while it might not be her usual purchases, her trolley is filled with sugary snacks and fizzy drinks. Dr Aria Campbell-Danesh, a medical expert who specialises in weight-related issues, believes that, if consumed regularly, these items could not only be stopping her losing weight, but could be detrimental to her health.